This lapel pin's traditional rectangular shape complements any message! Provide your celebrated coworkers with these custom lapel pins. 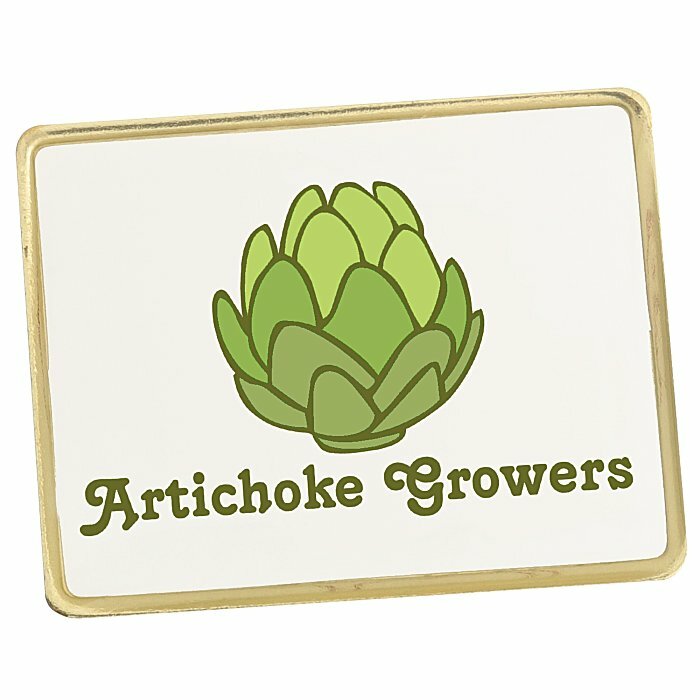 Impress your associates with these large, rectangular pins. Brass pins feature an anti-rotational spur to help keep your logo straight. Pins also feature a military-style pin back, which helps to hold lapel pin in place. An epoxy dome coating and a crisp white background makes for an impressive imprint. Size: 28 x 47mm (1-1/8" x 1-7/16"). Your price includes a full colour imprint on the front of the pin.